Today I did the second activity for day two of the holiday blogging challenge, and for this activity, we had to create a new mascot replacing Scotty, the Sky Tower's mascot. I named my character Joby, and I decided to make my mascot like Scotty with the Sky Tower body. I did this activity too. Your mascot is super creative. I like the way you added clouds on the top of your mascot. I also like the way you explained who Joby is. Hello Jack, I really like your mascot it stands out. Joby looks very detailed and neat, it is so creative. The description of Joby is nicely detailed. Great work! I really like the look of your mascot. 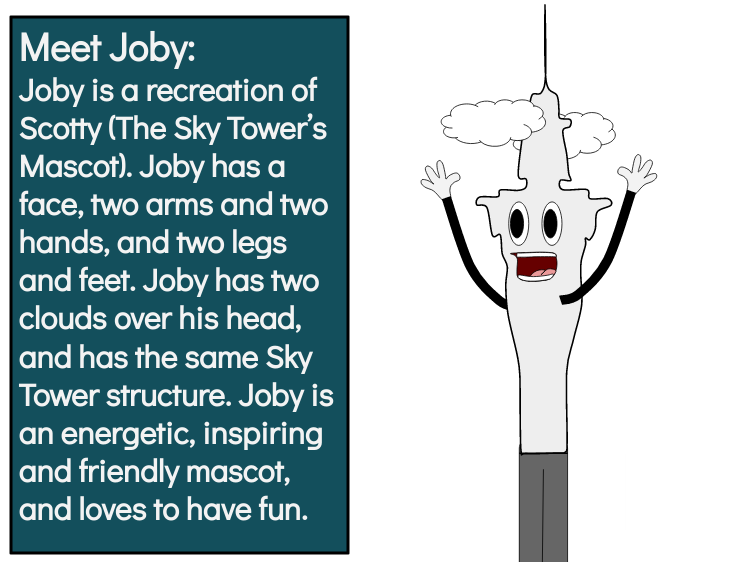 I also like the explanation of Joby. Nice job on creating a mascot! It seems that you put a lot of thought into him. I have a few questions though: Was it easy to think of Joby? And also why should he be the mascot? I really love your drawing because it looks like everyone's. I hope you are having fun. Your mascot looks awesome. I like how you decided to add clouds - it makes you mascot look a lot better. 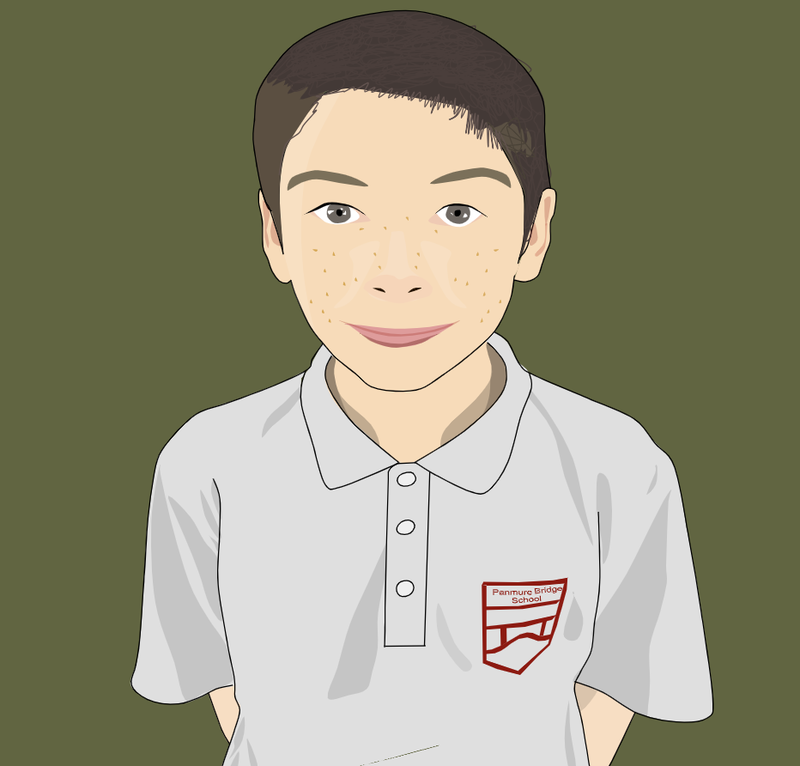 Keep up the amazing work Jack. Hi Jack. I really like the look of your mascot. The part I like the most is the clouds. You have added an excellent description of your mascot. Keep up the great work. Your own created mascot looks like a replica of the original Sky Tower mascot. I like how you added clouds around your mascot which is very creative.